You will find below the horoscope of Hilary Duff with her interactive chart, an excerpt of her astrological portrait and her planetary dominants. Horoscopes having the same aspect Sun square Neptune (orb 0°04'): Lady Gaga, Paul McCartney, Julien Courbet, Carl Jung, Ellen DeGeneres, Caroline, Princess of Hanover, Edward Norton, Angela Merkel, Frédéric Chopin, Marie Antoinette, Kevin Costner, Gia Carangi... Find all the celebrities having this aspect. Horoscopes having the same aspect Moon sextile Venus (orb 0°13'): Cameron Diaz, Freddie Mercury, Emmanuelle Béart, Mila Kunis, Gwen Stefani, Che Guevara, Carl Jung, Zac Efron, Sylvester Stallone, Gerard Butler, Matt Damon, Françoise Hardy... Find all the celebrities having this aspect. Celebrities born the same day: Brigitte Bardot, Nolwenn Leroy, Dita von Teese, Naomi Watts, French Fifth Republic, Marcello Mastroianni, Lata Mangeshkar, Sylvia Kristel, Bam Margera, Confucius, Georges Clemenceau, St. Vincent (musician)... List of all the celebrities born on September 28. Celebrities being the same height: Shakira, Christina Aguilera, Prince (musician), Nicki Minaj, Elizabeth Taylor, Alyssa Milano, Charles Manson, Salma Hayek, Eva Longoria, Emilia Clarke, Yoko Ono, Mary-Kate Olsen... List of all the celebrities being 5' 2" tall. Celebrities clicked on in real-time: 577,265,279 times. Hilary Erhard Duff (born September 28, 1987 (birth time source: "Hilary Duff Life Story 2006")) is an American actress, author, entrepreneur and recording artist. Born and raised in Houston, Texas, Duff appeared in local theatre plays and television commercials before coming to prominence in the title role of the Disney Channel's teen comedy Lizzie McGuire and The CW's teen drama Gossip Girl as movie star Olivia. Established as a teen idol, Duff reprised that role in the The Lizzie McGuire Movie and subsequently ventured into motion pictures, appearing in a string of successful films that include Agent Cody Banks, Cheaper by the Dozen, A Cinderella Story and Cheaper by the Dozen 2. Here are some character traits from Hilary Duff's birth chart. This description is far from being comprehensive but it can shed light on his/her personality, which is still interesting for professional astrologers or astrology lovers. 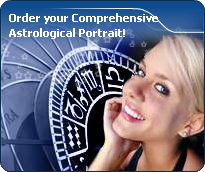 In a matter of minutes, you can get at your email address your astrological portrait (approximately 32 pages), a much more comprehensive report than this portrait of Hilary Duff. Hilary Duff, the diurnal South-western quadrant, consisting of the 7th, 8th and 9th houses, prevails in your chart: this sector brings about a thirst for communication and sometimes, a need to take risks in your dealings with others. Relations are a factor of your evolution and your transformation, which you accept serenely. Indeed, what matters to you is the movement and the energy that link you to others and that make you gain more awareness. A kind of rebellion or a desire to get away from it all is rooted in you. Cheers for communication and mobility, Hilary Duff! The predominance of Air signs in your chart favours and amplifies your taste for relations and for all kinds of short trips, whether real (travels) or symbolic (new ideas, mind speculations). You gain in flexibility and adaptability what you lose in self-assertion or in pragmatism. Hilary Duff, Fire is dominant in your natal chart and endows you with intuition, energy, courage, self-confidence, and enthusiasm! You are inclined to be passionate, you assert your willpower, you move forward, and come hell or high water, you achieve your dreams and your goals. The relative weakness of this element is the difficulty to step back or a kind of boldness that may prompt you to do foolish things. Earth qualities are under-represented in your chart, with only 9.10% instead of the average 25%. Deficiency in Earth may indicate that you have no interest in material and concrete values. It is likely that you live too much in your heart or in your mind, or even in your enthusiasm! The fact remains that you may end up in tricky situations, due to your lack of good sense or forethought: material life is unavoidable even if you are rather idealistic, dreamy, or easily content. You must tackle concrete life necessities, for fear of... being forced to cope with them, later, in much more unpleasant ways! The emphasis is on succedent houses in your chart, namely, the 2nd, 5th, 8th and 11th houses, Hilary Duff: this configuration usually endows a personality with affective and sensitive qualities. Obviously, to the detriment of self-confidence or self-assertion, but your heart qualities may be very important. These houses also favour realization. Time and patience are part of their characteristics. However, they are only indications and you must include them in the rest of your chart in order to see whether they are validated or not! The 11th, 8th and 9th houses are the most prominent ones in your birth chart. From the analysis of the most tenanted houses, the astrologer identifies your most significant fields or spheres of activity. They deal with what you are experiencing - or what you will be brought to experience one day - or they deal with your inner motivations. After this paragraph about dominant planets, of Hilary Duff, here are the character traits that you must read more carefully than the previous texts since they are very specific: the texts about dominant planets only give background information about the personality and remain quite general: they emphasize or, on the contrary, mitigate different particularities or facets of a personality. A human being is a complex whole and only bodies of texts can attempt to successfully figure out all the finer points. Your nature is optimistic and emotional, Hilary Duff, and you are caught up in two incompatible longings: you are fond of exoticism and independence of movement, but at the same time, you feel comfortable in a form of middle-class attitude and conformism; in general, it translates into a succession of moods, now quiet and well adapted to the situations you experience, now marked by an irresistible desire for change and revival. You have a good and naïve nature, with a lot of self-confidence. Your emotionalism prompts you to live intensely a variety of numerous emotional experiences, a bit scattered, but with all the stimulations you need to be a balanced person. Your pleasant and welcoming attitude wins you some degree of popularity, all the more so because, despite your thirst for adventures that may scare away some people, you adjust to your environment's customs so easily. You are the very type of the researcher endowed with great intellectual and imaginative capacities, Hilary Duff, and your curiosity is very deep. Researches, riddles and mysteries appeal to you and with a remarkable sixth sense and intuition, you endlessly try to unearth the truth, in all areas, like a psychoanalyst or a detective. You are a very secretive and introverted person, you find it difficult to open up and you rather prefer psychoanalysis. In spite of your clear-sightedness, you find it hard to deal with people: your critical mind, tinted with irony and causticity, may be destructive, especially since your determination and your stubbornness do not incline you to giving up. You are fond of provocations and you handle contradictions skilfully even though you may come across as dishonest. Hilary Duff, it is impossible to hide it: to love, to be loved and to please, all these activities are at the centre of your life. Because you loathe solitude, you are constantly looking for company, and if possible, for an amorous company. It does not mean that you are full of passion all the time: you are refined, delicate and charming and you skilfully make use of customs with moderation and balance, without losing sight of your personal interests. You are ready to adjust and to compromise in all circumstances. You want to love and to remain integrated in your society: love gives precedence to propriety, which is fundamental to you. You are particularly gifted for this game of refined courtesy and politeness where appearances are at least as important as contents; you are able to show what you feel like showing and you achieve your ends with elegance, gentleness and goodness. These are precisely your main assets. The ruler of the Ascendant, Hilary Duff, is Uranus. It is posited in the sign of Sagittarius and gives you a strong inclination for the open sea and for freedom. Loyal and benevolent, you put things into perspective, and you understand the true value of things, perhaps precisely because you travel - whether actually or mentally - and that stepping back from your intimate environment enables you to better perceive what is important and worthy. Hilary Duff, you skilfully make use of your energy and you are like the arrow that reaches its target with great precision: with piercing eye and sharp mind, you take action meticulously and efficiently. Like the surgeon with his scalpel, you know exactly what you want and you belong to the category of specialists, not the generalists. Critical, pernickety, extremely organized, you want to foresee and to analyze. You prefer to master your business too well rather than not enough, even if you must put a huge, sustained, long lasting effort into it. Sexually, you remain fanatical about cleanliness. You may be prone to fantasies such as fetishism. Your love life is fine if you avoid the unforeseen events that you loathe. This text is only an excerpt from of Hilary Duff's portrait. We hope that it will arouse your curiosity, and that it will prompt you to deepen your knowledge of astrology, as well as to visit and use the wide range of free applications at www.astrotheme.com. Your Life Path is influenced by the number 8, Hilary, which indicates that your destiny hinges on financial successes, material undertakings, and power seizing. It is a path full of successes and failures, fortune and reversals of fortune. You must strive to control your thirst for material goods, and try to practice tolerance. Great achievements are possible if you choose a career in any sort of trade or business. This is how your qualities are likely to be best expressed: management abilities and above-average commercial sense. Traditionally, the number 8 is believed to favour material and financial matters such as asset management, investments, commercial negotiations, as well as social power. All these elements are most likely to be found at the centre of your life. Your thirst for power, added to some degree of bad luck, constitutes one of the major hurdles blocking your way. However, your determination, added to a deep spirit of conciliation, turns the number 8 into a very fulfilling one, that of extraordinary successes.